There are few artists who have inspired the heady heights of idolatry to the same extent as Frida Kahlo. And just when it seemed that Frida-mania had reached its peak, 2018 brought with it an even greater surge in fascination with the Mexican artist, thanks to the extensive retrospective at London’s V&A. Through a range of personal artefacts — such as clothes, makeup, jewellery and even a prosthetic leg — the mammoth Making Herself Up offers new insight into the famed artist. Now, a brilliant new book — published today by Virago — has arrived to provide a further glimpse into the woman behind the icon presenting a compilation of letters from the artist to her mother Matilde Calderon Kahlo, and printing them in English for the first time. You Are Always With Me: Letters to Mama is a tender volume that glitters with the warm, spirited voice of Kahlo. Comprising over 50 letters, from 1923 (when Kahlo was 16) to 1932 (when her mother died), the collection — peppered with postcards, portraits and paintings — is a vital source for all Kahlo-philes. Through this deeply personal correspondence, the legendary artist is revealed as a caring, observant and thoughtful person, who shared a very loving, if sometimes fraught, relationship with her mother. What’s for certain: each letter breathes with the honest and emotive voice of one of the 20th century’s most significant visionaries. Below, in an extract from the book, Kahlo vividly recounts her first visit to New York in November 1931. 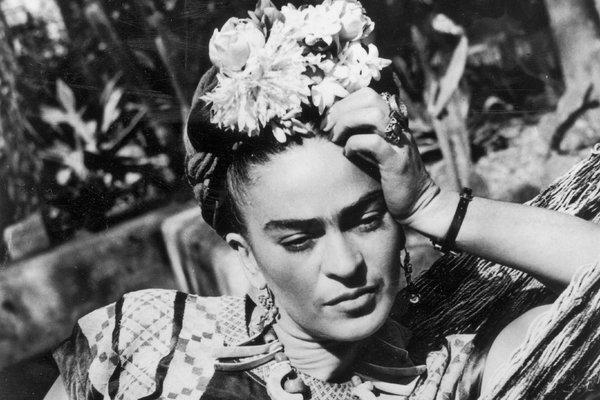 The trip followed a sojourn in Los Angeles with her husband, Diego Rievera, which marked Kahlo’s first ever visit abroad, as well as her first encounter with the ocean. She expresses wonder and awe at the big city — “it feels like magic” — but also exercises her socialist politics by expressing disgust at the city’s class divide. Flashes of the artist’s interest in fashion and her struggle with her health — the bus crash that left her gravely injured occurred a mere six years earlier — shine through in her lucid, evocative description. We finally arrived yesterday, at five in the morning, in New York. I was exhausted because I got dizzy for three days straight in the boat and I felt terrible; but at least I was able to rest well last night and today I feel as if nothing had happened to me. We live in a very good hotel with all my comforts, and on this side of the country I am doing much better than in San Francisco; the food here is also much better than in the Western part of the U. States. New York is simply marvelous, one can barely believe this city was made by people; it feels like magic. It’s so huge that looking over it from the tallest building which has 110 floors, one can barely distinguish the farthest neighborhoods which are miles and miles away. The city is located between two very large rivers, the Hudson and the East rivers, and the view in general is magnificent. The hotel where I live is in front of ‘Central park’ which is also marvelous, and in a great street and very centric; one block away from ‘5th avenue’ where all the filthy rich live. There is so much wealth and so much poverty at the same time, that it is incredible that people can bear such a class difference and such kind of life, because there are thousands and thousands of people starving, while the millionaires throw away their millions on stupid things and more. Anyhow, you wouldn’t be able to imagine how interesting this city is. Dear Mama, I would like you to write to me right away and tell me how you and everybody are doing, one by one. As I have to unpack today and do a bunch of things, I barely have time to write that I wish, but tomorrow I will be able to explain everything with more details. Anyway, don’t worry about me, not even for a moment, because I am doing the best I can as far as the Hotel goes, comforts and my health, which is the main thing. So far, Mrs. Paine has treated me well out of convenience; besides, I am not afraid of any of those stinky old ladies. I can almost say that I speak English and they can’t fool me that easily now. Tomorrow I will write to Papa, Kitty, the Gorditas (chubby women), Mati and Adri, and to aunt Bela and Caro, because I have to go out to have lunch at twelve and its already eleven-thirty in the morning. Yesterday was Diego’s birthday and they honoured him with a dinner. Poor Diego, he is so exhausted, but in better spirits because he started painting right away. You know, that which I liked about the trip was to visit Habana, it’s beautiful; I will describe it to you in another letter. Please write to me right away. Imagine, I lost my silver earing at the Buena Vista station in Mexico; did any of you find it? Well dear, tomorrow I will write you a longer letter. Kisses to everybody, to Papa, the girl and everybody. “You Are Always With Me: Letters to Mama” by Frida Kahlo is published today by Virago. “Making Herself Up” runs through to 4 November at the V&A.